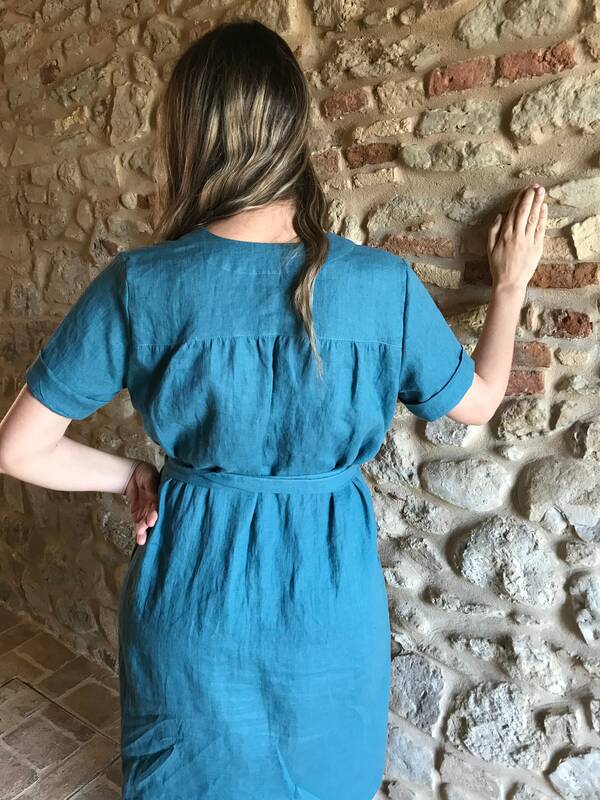 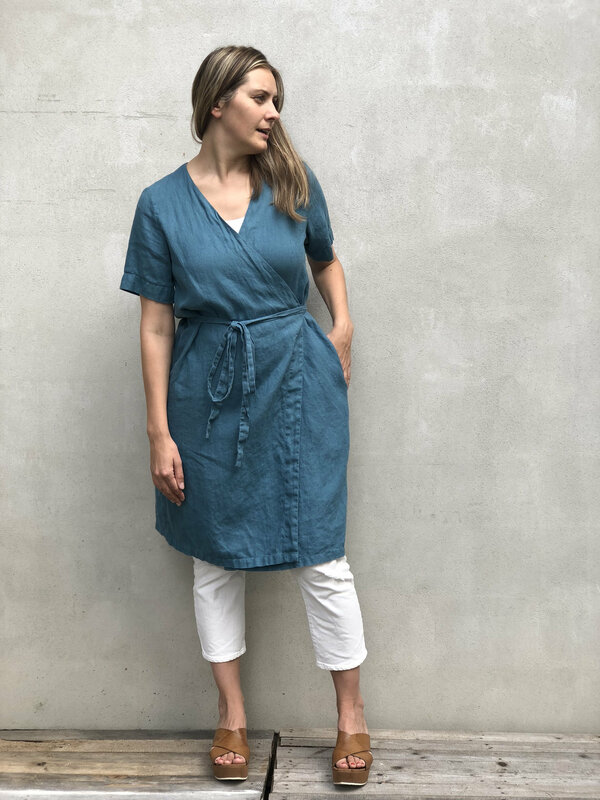 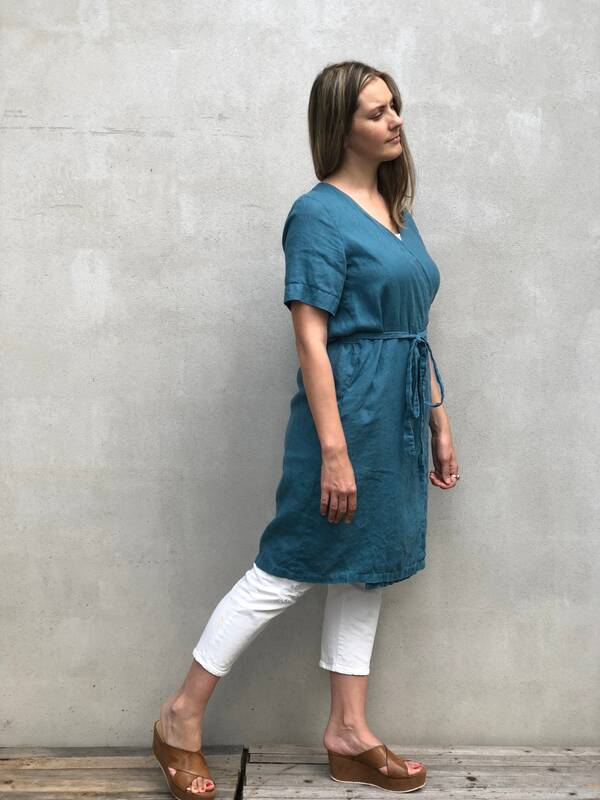 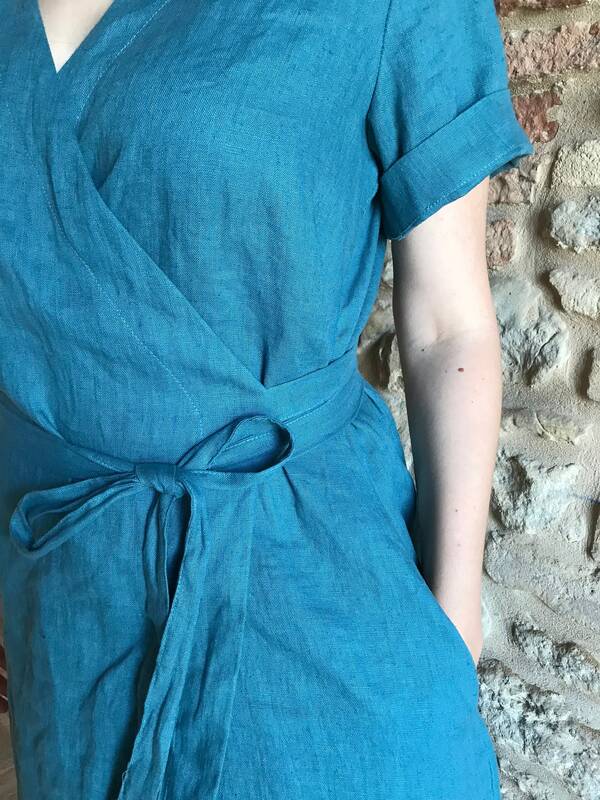 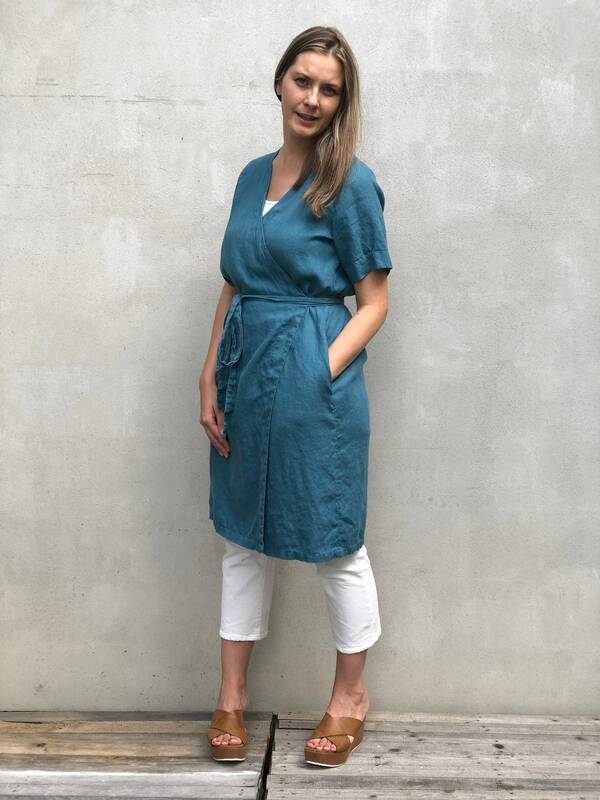 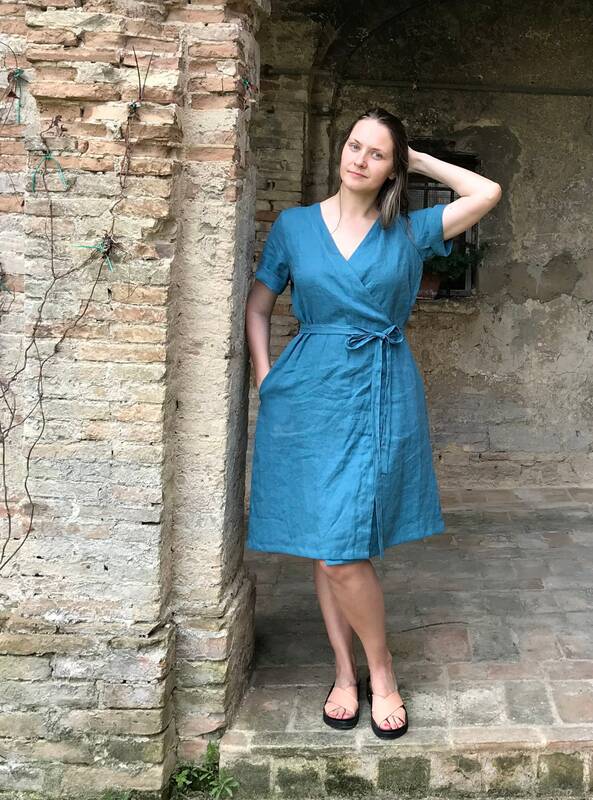 Lovely simple linen wrap dress with a long belt and pockets. 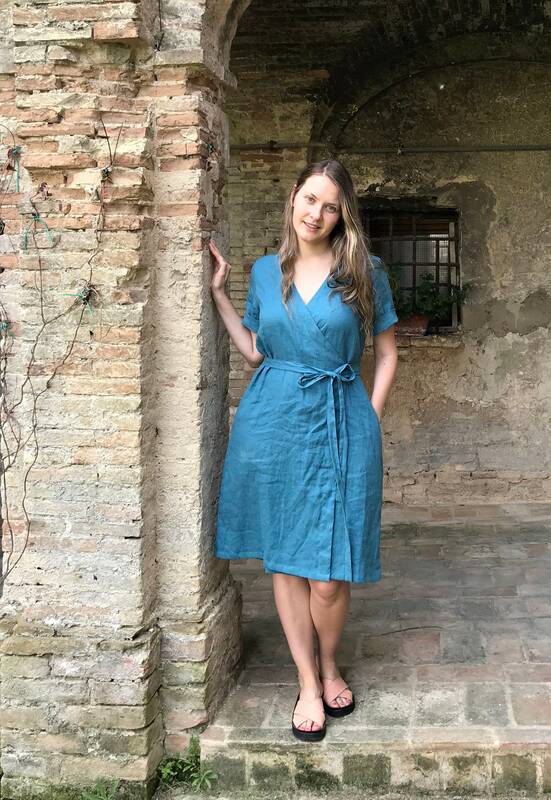 Comfortable to wear at home and hit the streets. 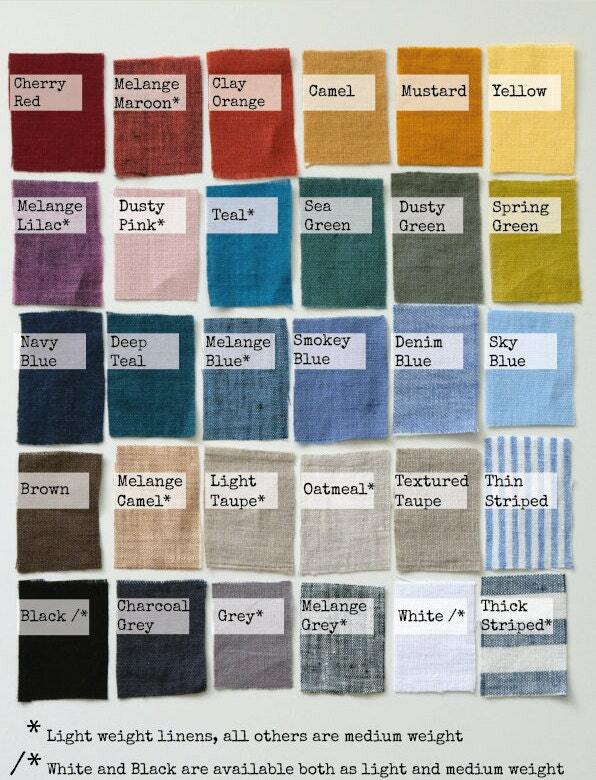 Made from fantastic, 100% pure linen.